STILLEN is giving away two sets of Phantom stainless steel brake lines. Head over to Facebook, and "Like" the Phantom brakelines. The new lines feature a black coating, and stainless steel hardware where applicable. 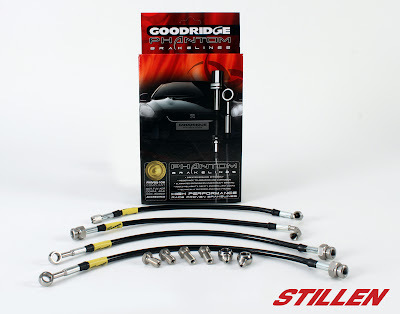 STILLEN Facebook Giveaway: New Goodridge Phantom Gstop Brakelines! Simply head over to the STILLEN Facebook page, give us a ‘Like’ and you’ll have access to the entry form on the Sweepstakes tab, just pop in your information and you’ll be entered to win. We’ll be picking a winner on April 15th, and again on April 30th! 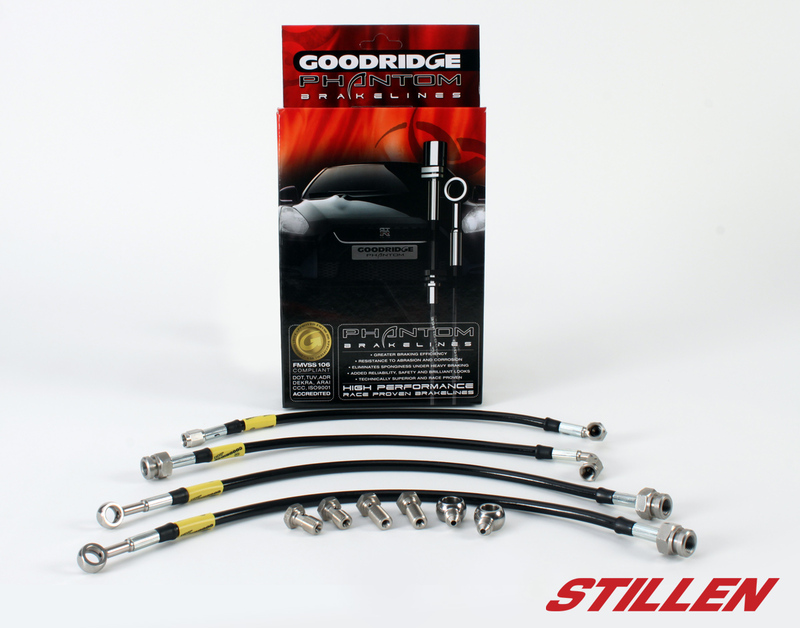 The Phantom Brakelines are new from Goodridge, and are designed to replace the factory rubber brake lines on your car, improving safety, reducing stopping distances and deliver a much better brake pedal feel, just like the popular Goodridge Gstop Brakeline kits. The Phantom series upgrades the hardware and fittings to stainless steel, features a black coating on the stainless steel lines, a beautiful upgrade, and we couldn’t encourage our customers more to consider upgrading your brake lines if you haven’t already, it’s an inexpensive upgrade that has huge benefits. Good luck! You can read the full giveaway rules here.